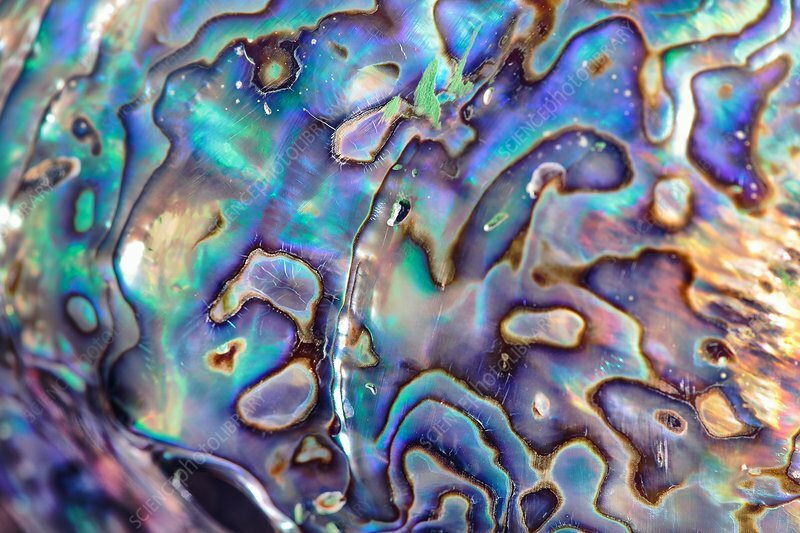 Macro photograph of an abalone shell. Abalone are marine snails that have shells which are of a low, open spiral structure. The thick inner layer of the shell is composed of nacre (mother-of-pearl), which in many species is highly iridescent, giving rise to a range of strong, changeable colours.